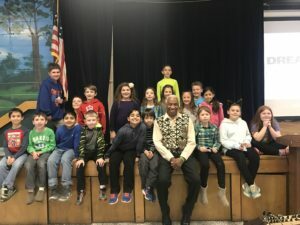 As part of the Miller Place School District’s commitment to providing a high-quality, diverse education, students at the Laddie A. Decker Sound Beach School recently participated in an inspirational assembly recognizing influential artists and literary icons of African descent. The event was intended to highlight the deeply significant contributions of African Americans in history and culture. During the event, students watched a live theatrical performance, “Dream Alive!” to explore some of the United States’ African-American heroes and heroines. 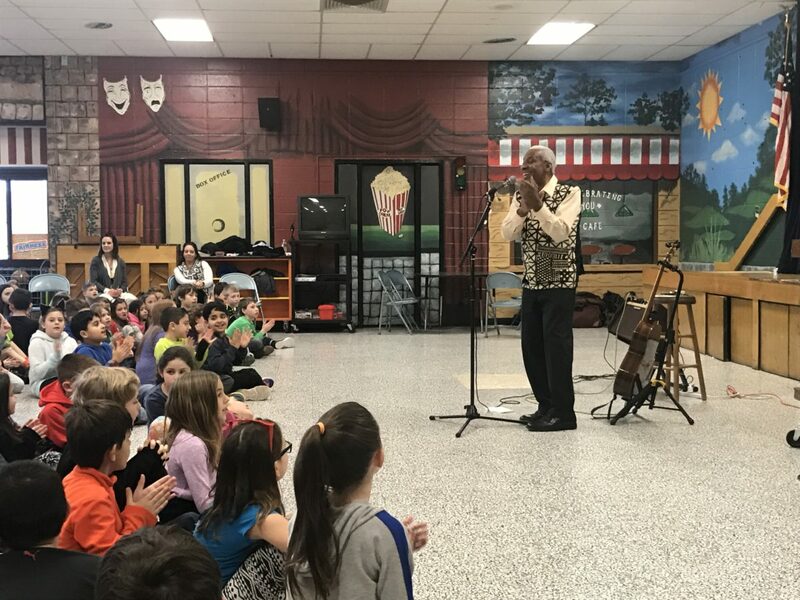 Nationally known singer, songwriter and performer Reggie Harris shared stories from early African American anti-slavery advocates including Crispus Attucks, Benjamin Banneker, Phillis Wheatley and those who fought in the Revolutionary War. Through acting, song and dance they then shared African-American voices from slavery and the Civil War, including Sojourner Truth, Satchel Paige, explorer Matthew A. Henson and Booker T. Washington. Students learned how these historical figures helped build the modern Civil Rights movement.